On April 27, 2016 Antonio Galloni will lead what is surely one of the most historically significant vertical tastings of Gianfranco Soldera’s Brunellos ever staged. We will taste all of the reference-point wines, including the 1982, 1990 Riserva and 1993 Riserva, as well as more recent benchmark Brunellos such as the 1997 Riserva, 1999 Riserva, 2001 Riserva and 2004 Riserva. Lastly, we will taste the two Brunellos Soldera made in 1983, one of his most important early vintages. 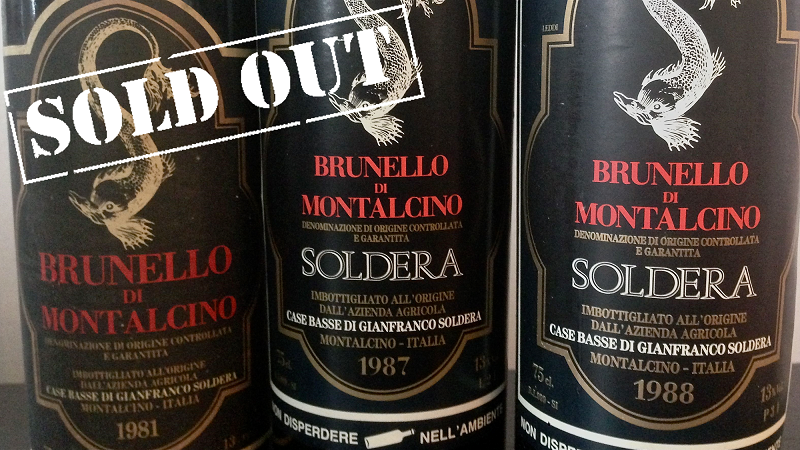 In 1983, Soldera bottled two Brunellos (one a straight Brunello, the other a Riserva) that were essentially essays on different approaches to vinification. We will taste them both, from magnum. This event has sold out. Please let us know if you would like to be added to the wait list by emailing events@vinous.com.